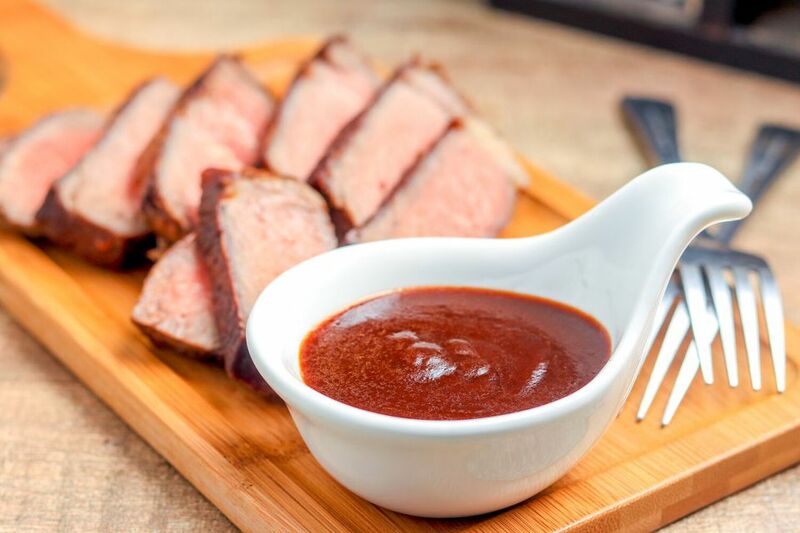 This is a fantastic recipe for steak sauce. The best part about making your own steak sauces is that you can adjust the ingredients for your own liking. Serve sauce on the side warm or at room temperature. Heat 2 tablespoons olive oil to pan. Add onions and cook for 3 to 4 minutes over medium heat. Do not brown onions, simply sweat them. They should be translucent in appearance. Next, add smashed garlic and sauté for 15 seconds. Place remaining ingredients in saucepan and simmer on low, uncovered for 20 to 25 minutes, or until it reaches a thickened consistency. Stir occasionally. Remove from heat and allow the sauce to cool completely. Strain to remove onion and garlic. Use immediately. To use, simply serve on the side with any type of beef steak. Bare in mind that this recipe makes quite a bit, so halve or even quarter the recipe is needed. If making ahead of time, simply store in a jar or plastic airtight container for up to 1 week after initial preparation.